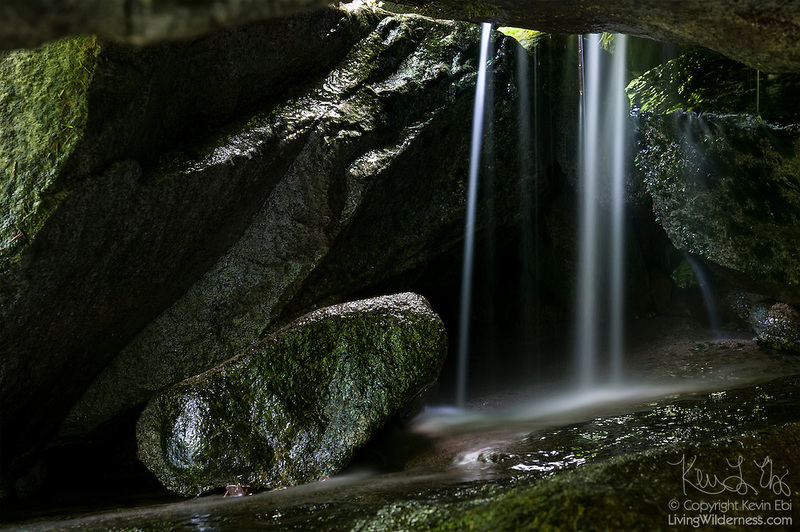 A tiny waterfall flows through a talus cave located next to the Index Town Wall near the town of Index, Washington. Talus is a pile of rocks that broke off a nearby mountain face. Occasionally the rocks break off and land in such a way that it forms a natural cave. The falls is illuminated by a skylight in the cave.